14 kt Yellow and White gold. 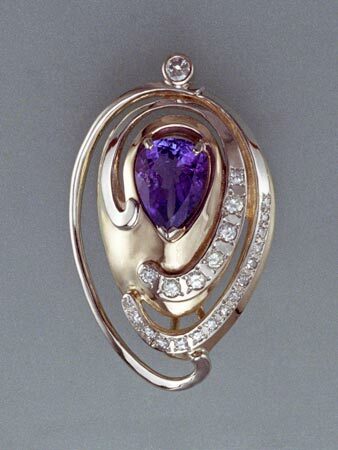 Tanzanite – 3.68 ct. Diamonds – tw. .67 ct.